TAI-CHI MASSAGE is a powerful type of healing that frees you from habits of emotional and physical tension, even those that have plagued you for a lifetime. The masseur uses principles of Tai-chi as he moves individual parts of your body in relaxing, flowing Tai-chi movements. You are lying down on a massage table as in other types of massage. As one part of your body, a shoulder for example, is moved through fluid, circular patterns, you can easily let go of muscular restrictions and the mental tensions that create them. 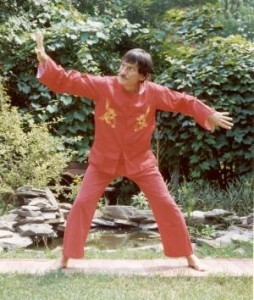 Once that part of the body is freed, then gentle pressure is applied, also in slow, Tai-chi-like patterns. The slowness allows the body to feel comfortable letting go of its tensions. Even if you don’t do Tai-chi yourself, the Tai-chi Massage allows you to gain the benefits of this ancient exercise while the masseur does all the work. It also allows people who do practice Tai-chi to feel the principles directly. They can then apply the experience of the Tai-chi Massage to the Tai-chi exercise itself. Each part of the body feels as though it was freed from a type of jail, whose bars are made of tension. You will then feel the body starting to heal itself and self destructive habits lose their power over you. You will be amazed about how much of your energy was used up by that tension. Now, freed of the emotional and physical tension, you have energy to spare. If you watch the beautiful wild animals you can appreciate how graceful and fluid are their movements. And yet we humans are also designed to be graceful animals. Most of us have lost the relaxed fluidity of our bodies due to stress. Our bodies harden and deteriorate. Tai-chi Massage reverses the degradation of the body and returns us to a natural state. For further information you can call 1-888-9TAICHI (1-888-982-4244) or email info@movementsofmagic.com with your questions.